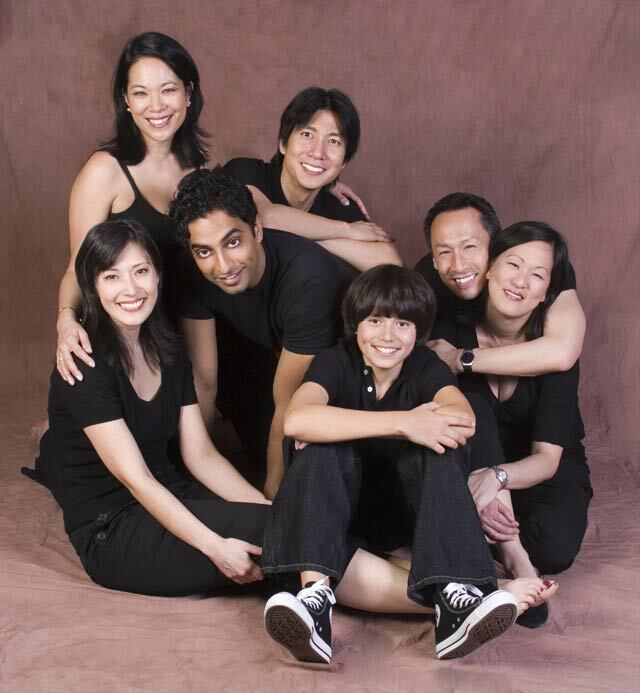 Falsettoland is about taking care of each other in troubling times, and NAATCO’s revival ups the ante by reminding us that “each other” really means everybody: seven actors of Asian descent play seven neurotic urban Jews without comment and it’s neither jarring nor politically pointed. The cast rises to the occasion, and then some. Like Sarah Lambert’s efficient set, which clicks into place with the simplicity and precision of Jason’s Rubik’s Cube, this group of performers is a colorful, interlocking, and delightful puzzle. Because the characters are drawn so specifically, NAATCO’s cross-racial casting is able to add layers of new connotations to the piece without eroding the integrity of the story. No matter what the actors look like, Falsettoland rings true. By refusing to alter the material to justify its casting – say, setting Shakespeare among the samurai, as Akira Kurosawa did with his films Ran and Throne of Blood – NAATCO upholds a beautifully expansive view of the theater, where any play that’s good can be considered an Asian play. 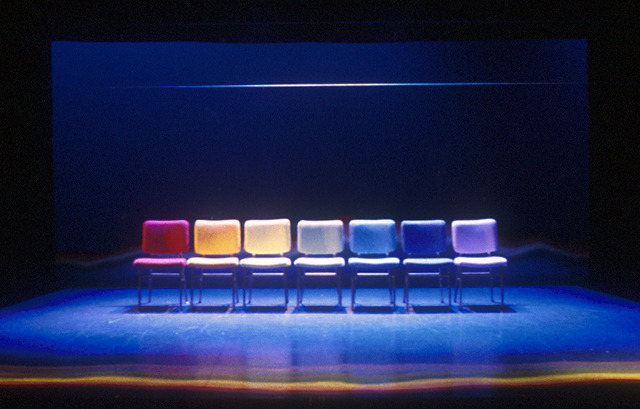 While the show takes place in the 80’s, the emotional impact of losing a loved one to AIDS is timeless. 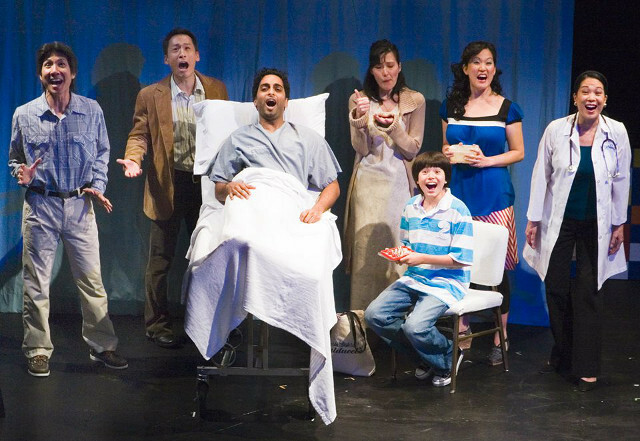 NAATCO scores a homerun with this winning revival of Falsettoland. 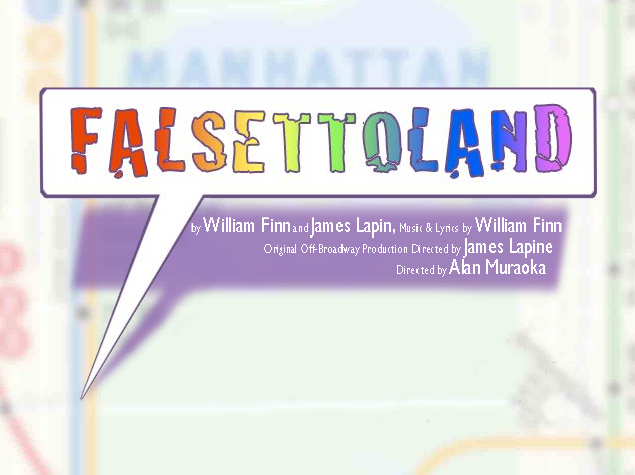 Falsettoland is a slice of tragic history that continues to pack an enormously effective one-two punch. 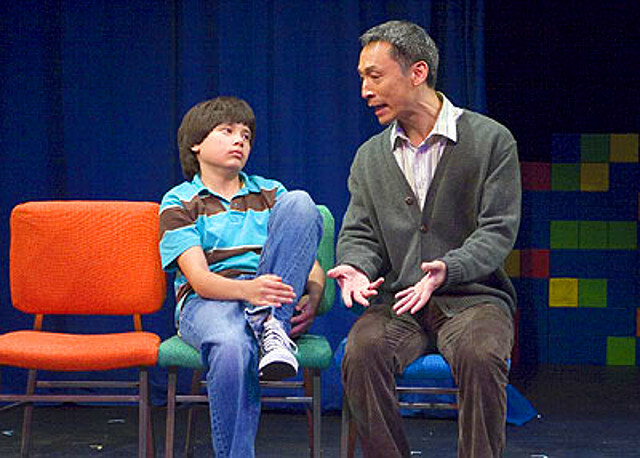 Using an Asian American cast in a Jewish-centric, gay-themed musical seems like a risky venture, but NAATCO proves that colorblind casting can be an effective means of execution.